Sacred Heart Academy was founded on September 14th, 1931 and started with 325 students, nine Sisters of the Holy Names, two secular teachers, and Fr. Theodore Ray, pastor of Sacred Heart Parish, as principal. The school went on to teach thousands of students for the next 81 years. 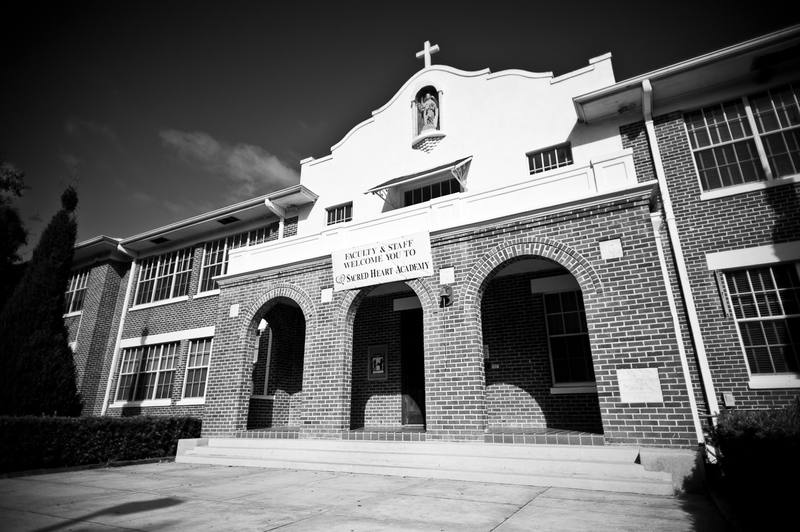 But after a long and storied presence in Tampa, Sacred Heart Academy closed its doors as a Catholic Elementary school after eight decades of educating students who have gone on to become leaders in the Tampa and Hillsborough community. The school’s spirit will live on in all of its students, teachers, parents, and alumni. Click below for a complete history of the school as well as archive photos and current photos. A non-diocesan Catholic institution operating within the Diocese of St. Petersburg.